Yep…not done with the wedding theme yet. 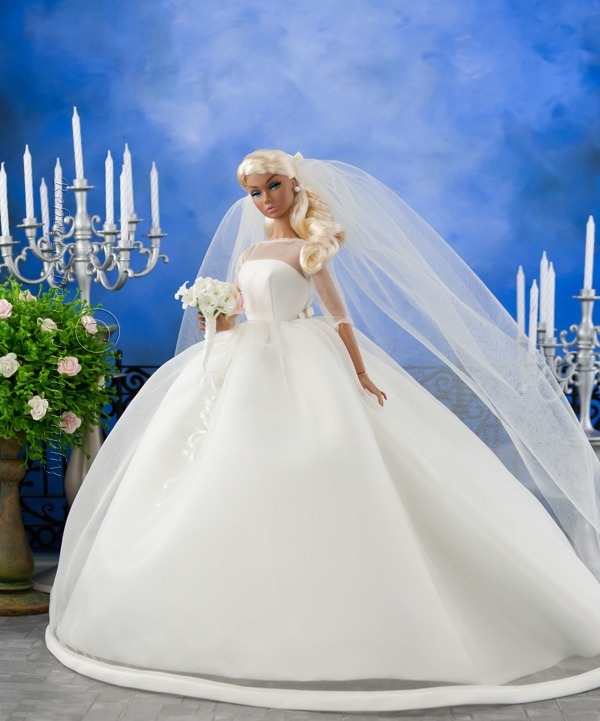 I just love the Silkstone Barbie Wedding dress. It has graced a good chunk of my collection over time and I swear it looks amazing on every single doll I have put it on. I also added something I don’t usually have in my wedding shots…a groom. Set: My new favorite…the cake candelabra painted silver on a candle holder. Buyers Choice fence. The floral arrangement is a greenery ball on a candlestick with some paper roses thrown in. Literally..that’s what it is. This entry was posted on February 24, 2012 by raberry65. 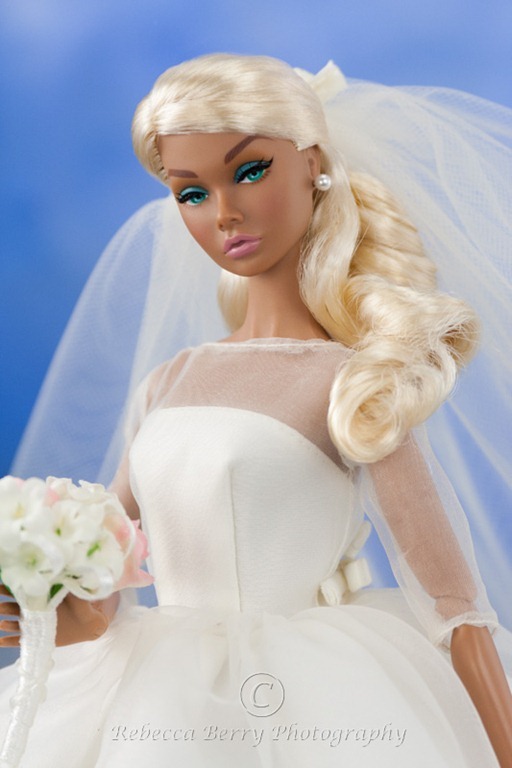 It was filed under Fashion Royalty, Poppy Parker and was tagged with Doll Diorama, Doll Photography, Fashion Royalty, Marie Therese Silkstone Barbie, Most Beautiful Boy Auden, Poppy Parker, Rebecca Berry Photography, Sweet Confection Poppy Parker. Thank you Peter! 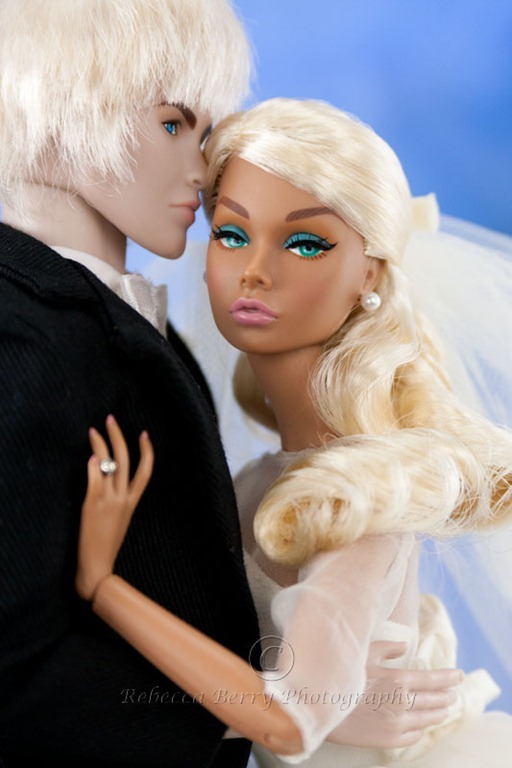 Don’t they make the cutest couple. I am very well…just insanely busy at present with two kids and their activities. It’s a good kind of busy just doesn’t leave a lot of extra time for photo shoots right now. It will be very interesting when Chip shows up now won’t it LOL! Thank you for the lovely comment. Yeah Mary! Feel free to comment any time my friend. Your comments are always very much welcomed.